Eliza Fournier, manager of school and community gardening, has served in the school and community gardening department at the Chicago Botanic Garden for eight years. 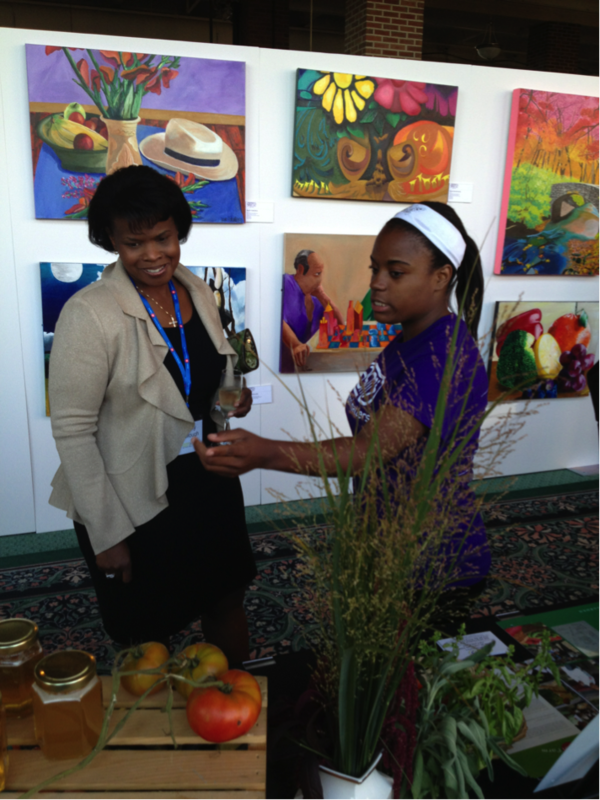 In that time, she has helped more than 200 communities and schools plan and implement gardens in their neighborhoods. 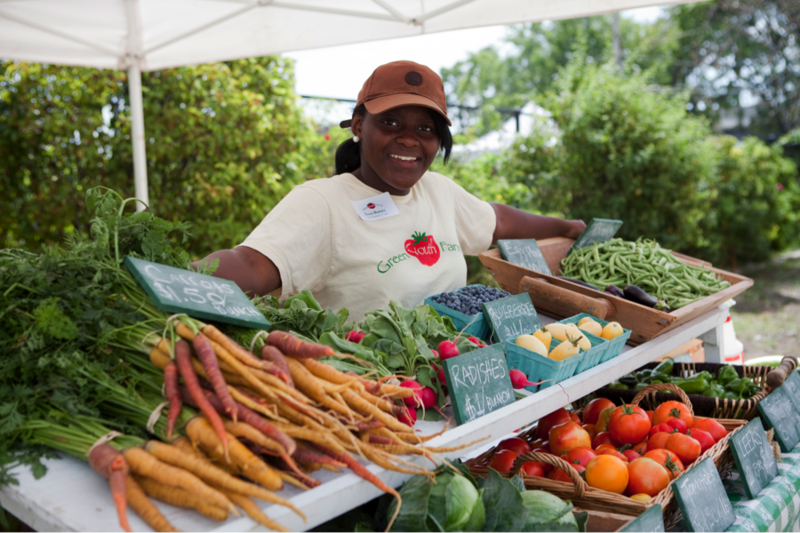 She currently manages the Green Youth Farm program, teaching teenagers how to grow organic produce on three urban farms. Whenever I tell anyone that I work for the Chicago Botanic Garden, the first response I get is “Wow, you must have the best job ever!” (well, yes, in fact I do) followed quickly by “So, what do you do in the winter?” In response to this question, I have spent the last month or so keeping a photo journal of some winter days at Green Youth Farm. 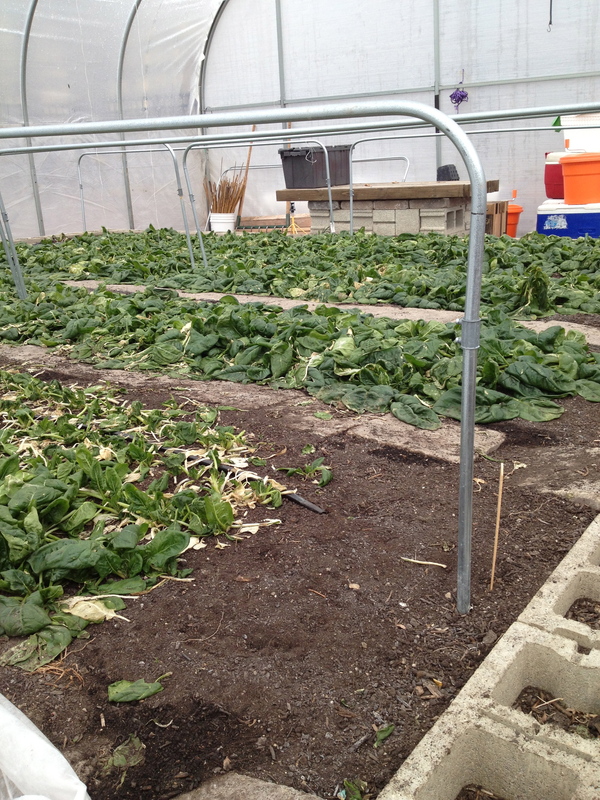 Winter in the hoophouse, with a great crop of greens. So what is it we do in the winter? Even though everything looks like it is frozen solid, under hoophouses and low tunnels, tucked beneath coldframes and cozy in greenhouses, food continues to grow! Spinach, lettuce mix, and swiss chard will be harvested all winter long, while carrots, onions, and kale await warmer weather and contribute to an earlier spring harvest. 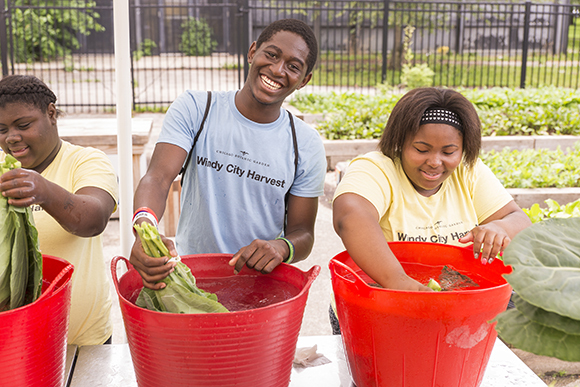 Last year alone, Green Youth Farm and Windy City Harvest grew more than 80,000 pounds of produce—all on less than four acres of land. This number would not be possible without maximizing our short Chicago growing season with low-tech season extension. 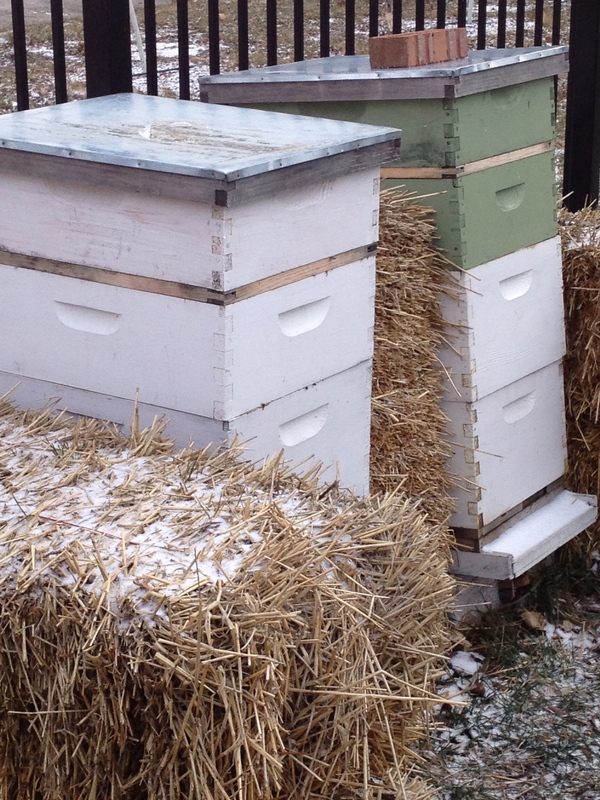 Keeping bees warm in winter — hay bales cut down on winter wind getting into the hives. In addition to growing produce we keep beehives, and last year we harvested more than 70 pounds of honey with our students (many of whom were scared silly of bees when they started the program). Over the winter, we need to check the bees to make sure they have enough food and are staying warm. We are happy to report these hives at our Washington Park location are buzzing! Confession time: just like the home gardener, we professional gardeners face winter frustrations, too. I’m not proud to admit that we left a couple of hoses out in the garden, now full of frozen water. So yes, some of our wintertime is spent making up for summertime haste. Who can we blame this on? P.P.S. Word to the wise: put the hose away in October, not February. 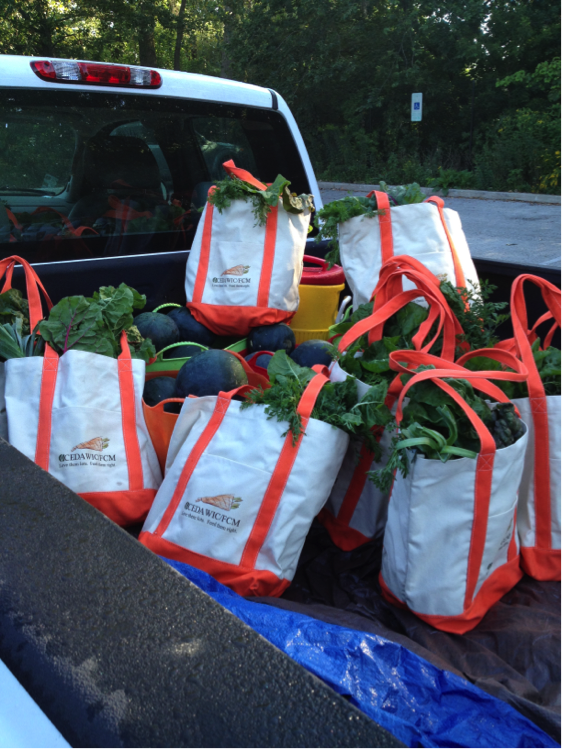 Every year, Community Gardening staff go out to corporations, schools, and garden clubs, as well as conferences and meetings (American Community Gardening Association, Good Food Fest, American Public Garden Association, etc.) spreading the gardening gospel. Last year alone, we reached more than 500 people outside the Chicago Botanic Garden. 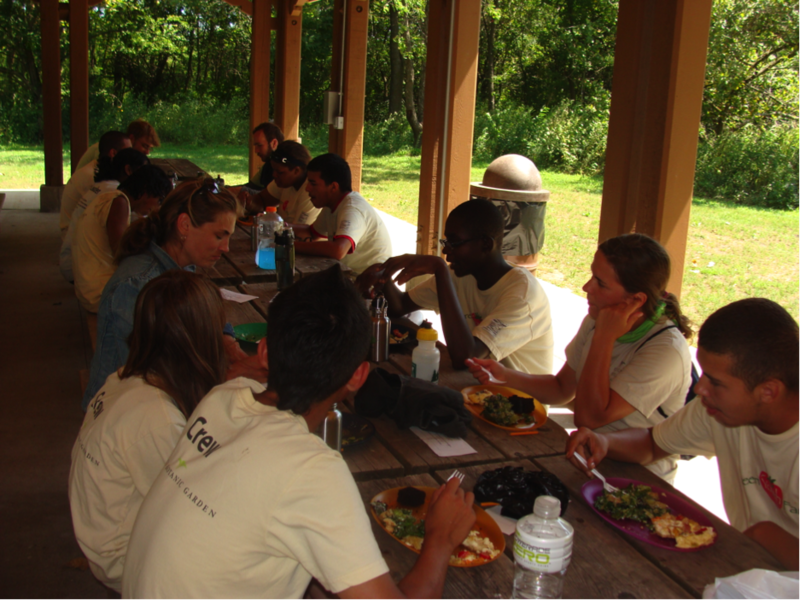 Our favorite event of the year is our own Facilitator Training program, where we teach folks interested in replicating the Green Youth Farm model more about what we do and how we do it. This year participants came all the way from Springfield! 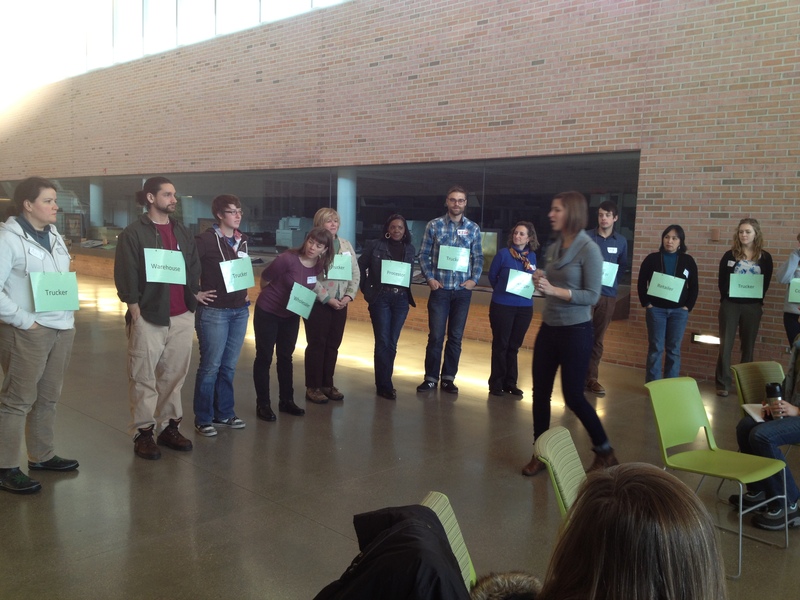 Laura Erickson leads the group in one of Green Youth Farm’s favorite workshops: The Food System Chain Game. 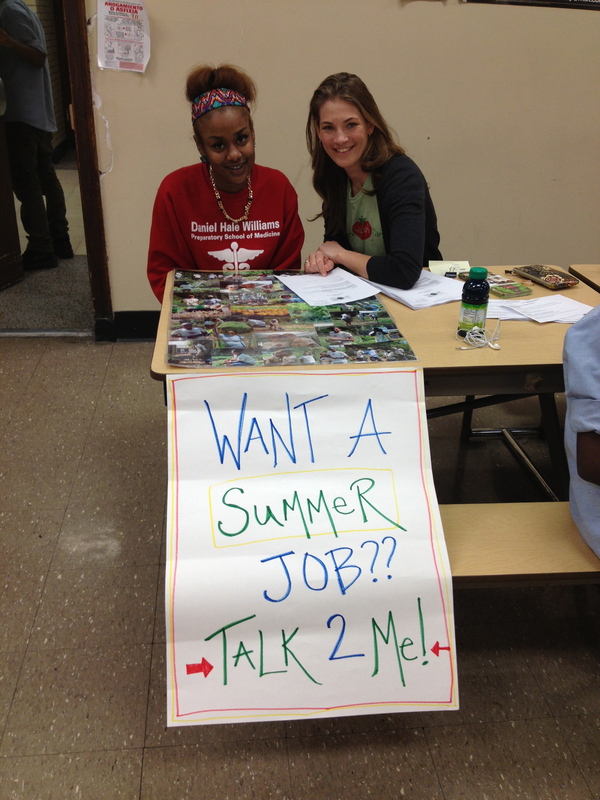 Recruiting new Green Youth Farmers! 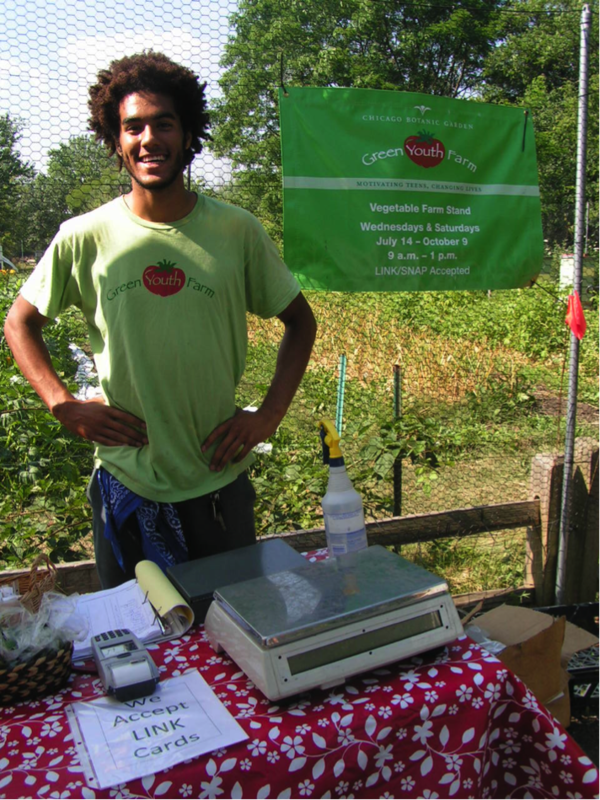 The Green Youth Farm will hire 13 staff and more than 90 student participants. This year, we more than 50 applications for the three coordinator positions alone. 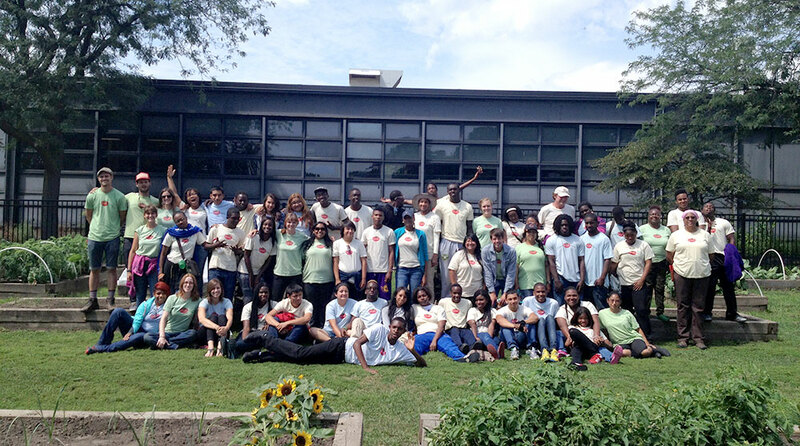 In addition, each year the Green Youth Farm receives more than 250 applications from students from 15 different Chicago, North Chicago, and Waukegan high schools. It’s always fun reconnecting with former students during high-school recruiting visits. Between Windy City Harvest and The Green Youth Farm, the Community Gardening Department has more than 50 community partners who enable us to do the work we do outside the Chicago Botanic Garden, providing us space to grow on and work in, and program enhancements like art and access to Women, Infant and Children (WIC) clinics and coupons (we distributed almost 1,000 boxes of produce to the clinics last season). The winter is a great time to reconnect with all of these partners to debrief how last season went and think about how we can constantly improve on our work together. 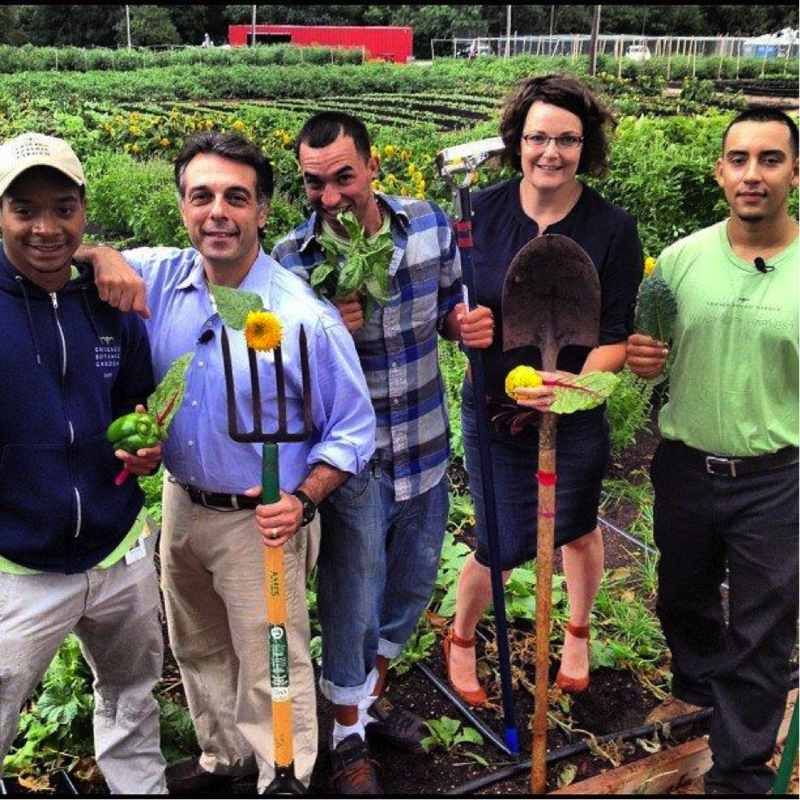 Good times in Community Gardening. While everyone’s job here at the Chicago Botanic Garden is a little different, each one of us is just like those bees in the hive—while the Garden might look peaceful from the outside, on the inside, we are all flapping our wings like crazy to stay warm and productive until spring shines her light on us once again. So until then, stay warm and think spring! !